We are adding to our selection of reviews on this new Ruby Cocoa chocolate that it quickly becoming the trend for 2018. It is billed as being a whole new type of chocolate, and is being used by expensive chocolatiers like Fortnum and Mason to more readily available brands like Kit Kat. As a bit of a change I thought I would try my first ever Ruby Cocoa Hot Chocolate. 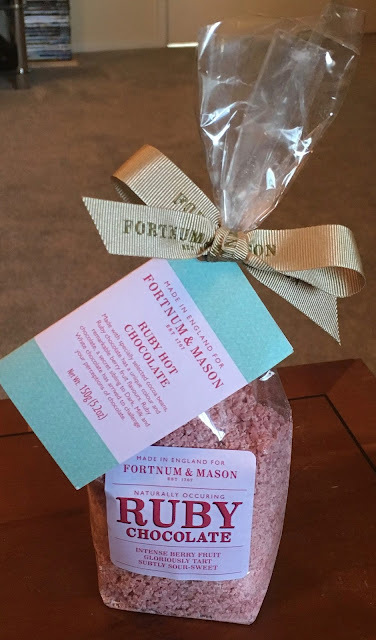 I found this while googling Ruby Cocoa and bought myself a bag from Fortnum and Mason, it was quite pricey, but I couldn't resist. When it arrived I found the bag looking very pretty and tied with ribbon. The hot chocolate granules inside this bag are very pink, but didn't have much aroma. 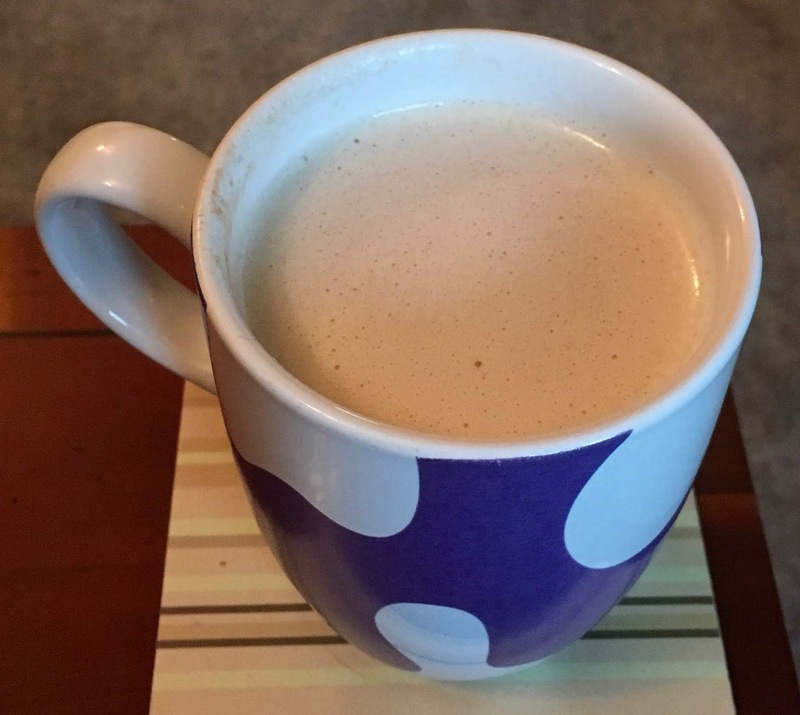 I heated up some milk and added the recommended three heaped teaspoons and stirred them in. They dissolved very quickly and easily and the milky drink was very pale in colour. The instructions suggest that the ruby hot chocolate should go a pale shade of lilac, mine hadn’t so I added another heaped teaspoon and the colour improved.